If you've been reading my blog for any period of time, you know that I love Paper Pumpkin. Even though I've written about it before, I thought I would give a refresher course today, and share why I love it so much. Plus, if you want to try it, now is a great time because you will get May's kit if you sign up by May 10! Paper Pumpkin is Stampin' Up! 's monthly kit subscription. It comes with paper, stamps, ink, accessories, and more to complete a project every month. The only thing you'll need to have are scissors, and maybe some adhesive (although that is usually included too!). Here are some pictures of the past few months' kits. How do I know what the kit will include every month? You won't. It's a surprise each month, and the anticipation is half the fun! If you are worried about whether or not you will like it, there are always tons of alternate ideas on Pinterest. 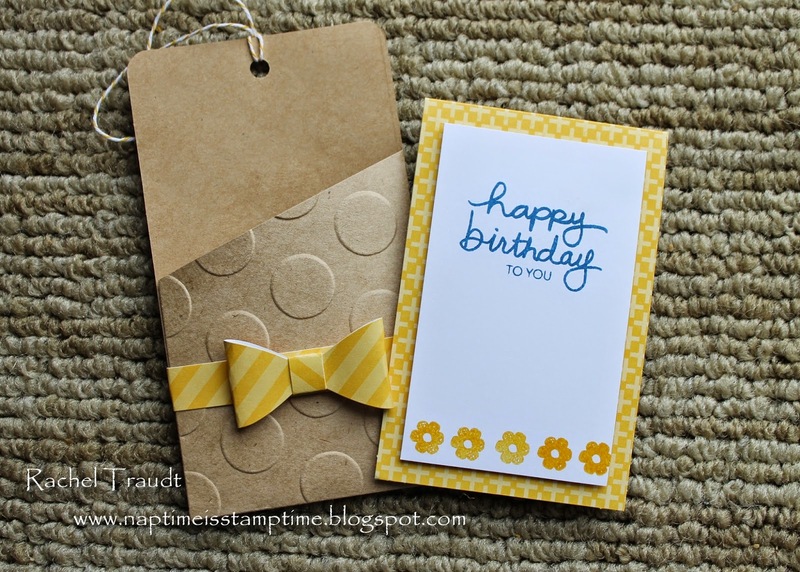 Plus, Stampin' Up! offers a satisfaction guarantee on Paper Pumpkin kits, so they will make it right if you are not happy. Paper Pumpkin kits cost $19.95 per month. This is a GREAT value, because the stamp set alone is probably worth $10-15. Your credit card will be billed as soon as your Paper Pumpkin kit ships, usually between the 11th and 16th of the month. How can I save money on Paper Pumpkin? Stampin' Up! periodically runs sales. However, you can always get a $1-2 discount per month by purchasing a 6-month or 12-month prepaid subscription. With a 12-month prepaid subscription, you also qualify for hostess benefits! Do you offer other options for prepaid subscriptions? Yes. We offer 1-month, 3-month, 6-month, and 12-month prepaid subscriptions. These make great gifts too! How do you redeem prepaid subscriptions? When you make your purchase, you'll be emailed a redemption code. Visit www.mypaperpumpkin.com and enter your redemption code. You can! Simply login to your account on www.mypaperpumpkin.com and click on Manage My Account to skip a month. When you want to resume your subscription, just login again and turn it back on. What's to love about Paper Pumpkin? Everything! I love the amount of product you get for your money, the fun projects, and the surprise every month! Just ask my husband - I stalk the mailbox every month around the 15th, hoping for my red-orange box! Are there any perks to subscribing through you as my demonstrator? Of course! When you sign up with me, I will send you a little thank you gift, pictured below, and a case to hold your Paper Pumpkin stamps. I like to spoil my subscribers, so you'll also receive gifts once you've subscribed for 3 months, 6 months, 12 months, and every year after that. Click here to sign up or visit the links above to purchase a prepaid subscription. Any other questions? Comment below or email at the address listed above. Today's project is a fun one. I always like to include a little thank you note with my customer's orders, and last month I had a few special thank yous to send. I found a tutorial for this cute treat holder, and Easter Ghiradelli chocolates were reduced at the grocery store, so it was the perfect combination! 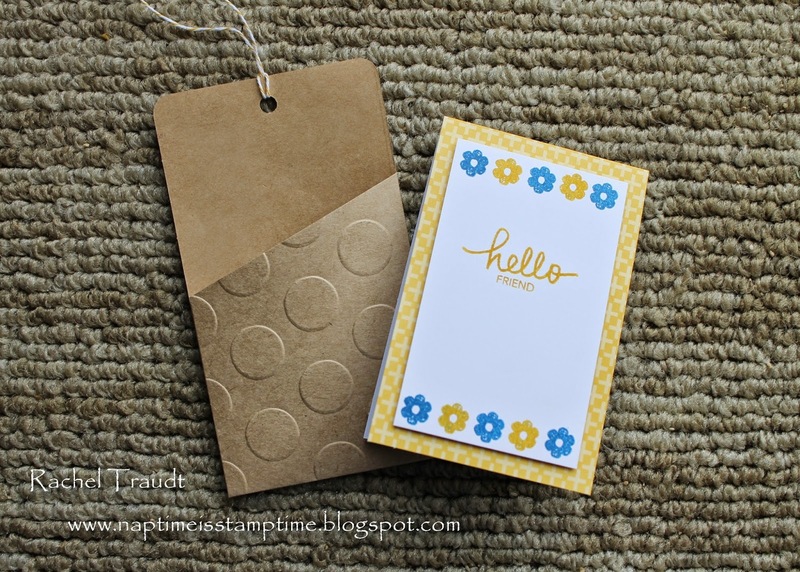 One suggestion I would make: I don't have the Simply Scored tool, so I just used my Stampin' Trimmer, but it would be way easier with the scoring plate. 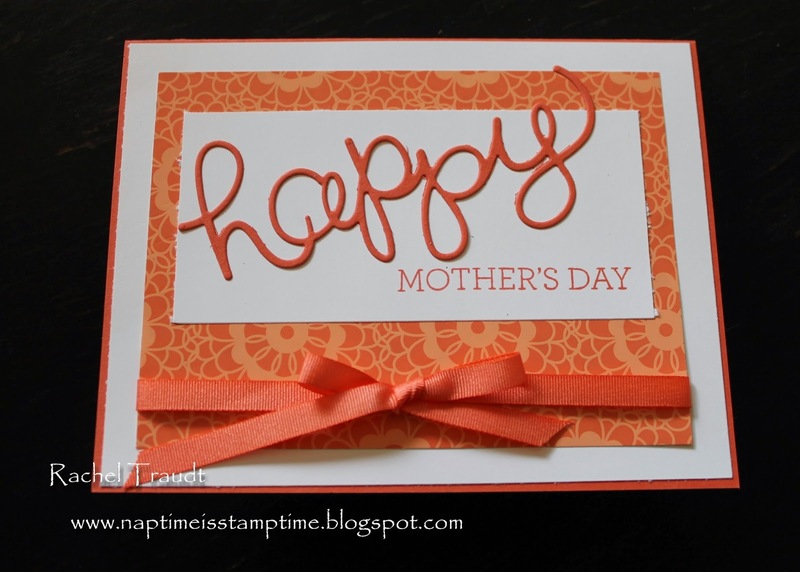 The stamp set this month featured stamps that are perfect for Mother's Day or Father's Day, but if you don't need cards for those holidays, you can easily improvise, like I did. I used some stamps from last month's Paper Pumpkin kit, as well as December's kit, to create my cards. 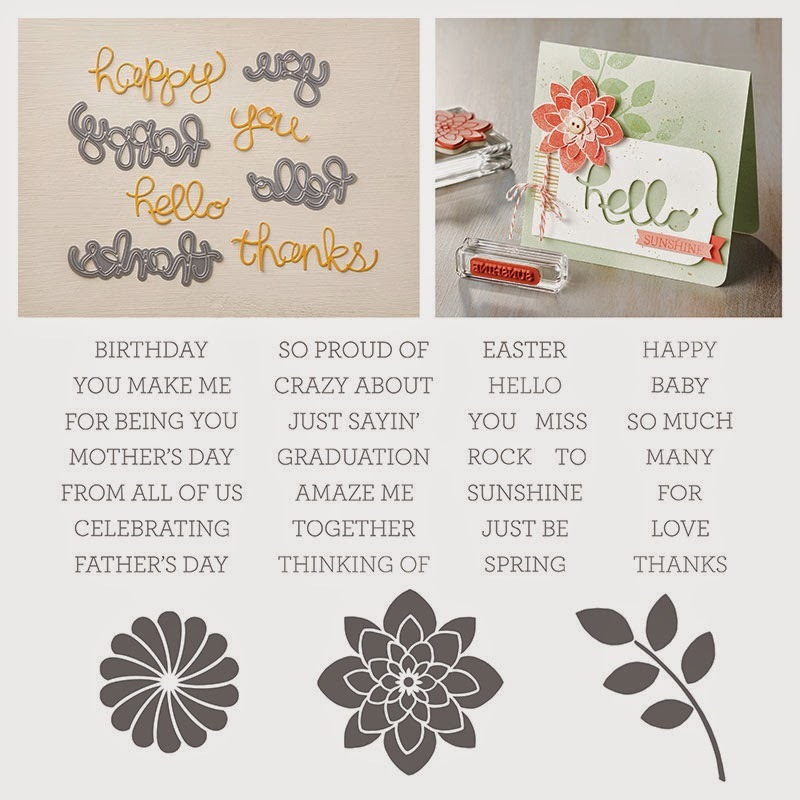 I already created cards for Mother's Day and Father's Day that you can see here and here. Haha, as I was looking at the picture of the stamp set, I just realized you could even turn the 'MOM' stamp upside down to make 'WOW'. Awesome! The versatility of the Paper Pumpkin kits lately has been great! 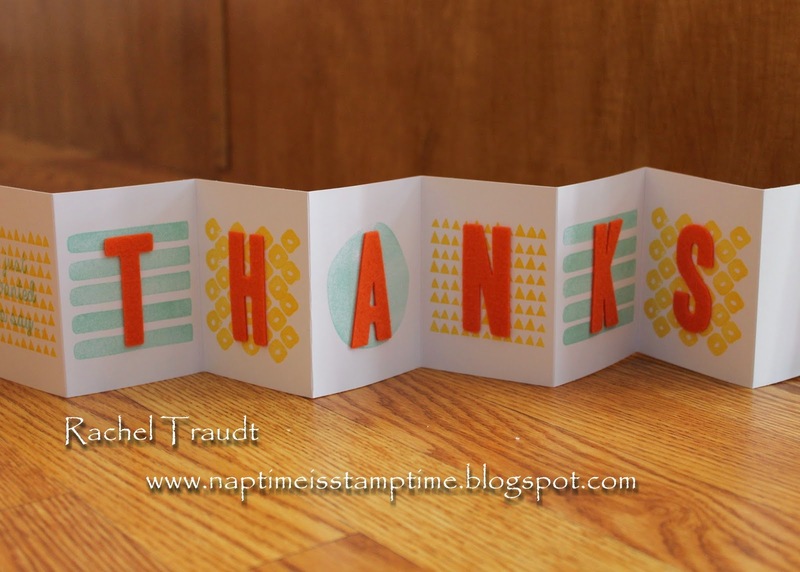 If you are in need of thank you cards, you could make all 8 that way. If not, make a variety, as I did. I also saw an idea on Pinterest the other day to emboss the envelope. I tried that on a few of mine, and I love how they turned out! Don't you just love all the options? I have a few things leftover, so hopefully I will have time to make a few more cards in the near future. Have you subscribed to Paper Pumpkin yet? You get SO MUCH for your money! For $19.95/month, you receive an exclusive stamp set, an ink spot, and the supplies to create a great project (not to mention a fun surprise on your doorstep!). I am participating in a challenge right now, and if you've been thinking about trying Paper Pumpkin, I'd love it if you would help me out! I am trying to gain 6 new subscribers by June 2. Even a 1-month prepaid subscription counts, as long as you redeem it by June 2. If you can help me out (and really, help yourself out too! ), click here to sign up. Or, purchase a prepaid subscription here. You won't be disappointed! This week's post is going to be short and sweet. Well, at least as short and sweet as I can make it. It's been a busy week. Today we're going to talk about the Big Shot. 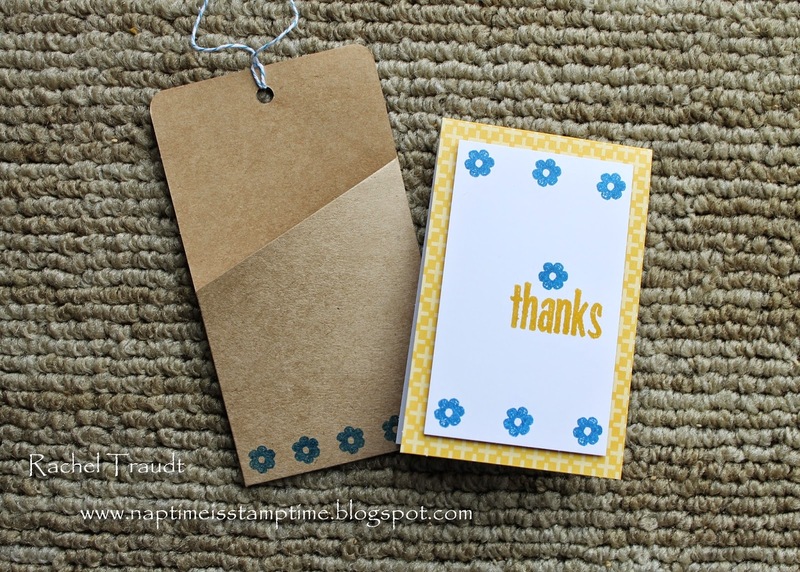 This is one of the spendier items in the Stampin' Up! catalog, but it is well worth the purchase. It can do many different things, and I think the best way to learn about it is to watch this 6-minute video by Stampin' Up! It will give you a quick overview of the Big Shot and all that it can do. Impressive, right? There are a few great ways to get this tool. You can purchase it by itself. Host a party and get it for free or half off with your hostess dollars. Purchase it and add $50 of coordinating products to earn your own hostess dollars. Buy the starter kit and choose this as part of the contents of your kit. You'll spend the $99, but then you'll get to pick an extra $25 of items for free! I love the versatility of this machine, and it really does make it easier to cut out and frame images, not to mention the neat look of dry embossing. If you are interested in purchasing it, you can visit my online store here. If you would like to know more about hosting a party or buying the starter kit, please contact me and I would be happy to assist you. I'll be back tomorrow with this month's Paper Pumpkin kit. You won't want to miss it! Well, I was planning to share this month's Paper Pumpkin kit with you today, but they are running a bit behind schedule, so I don't have it in my hands yet. Hopefully today! 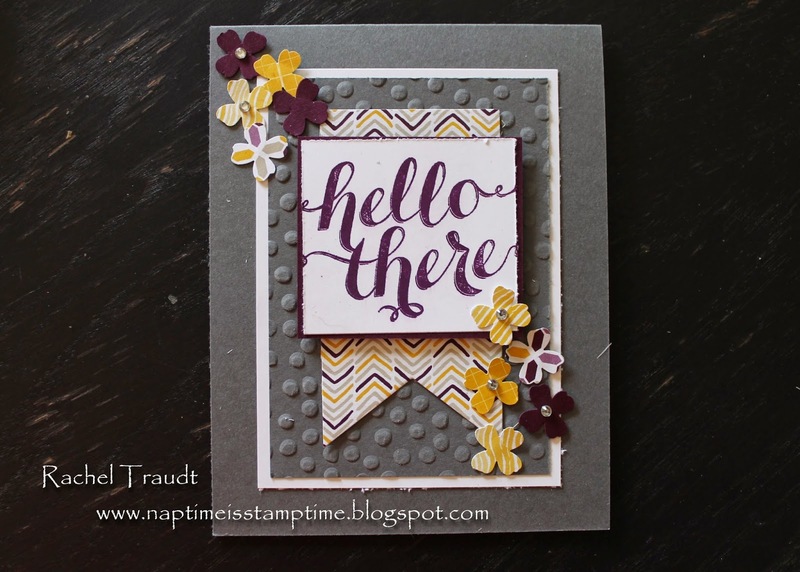 If you want a bit of a spoiler, you can watch the video Stampin' Up! made. Instead, I will share my last Stamp Camp card with you today. This one I received in a swap awhile back, and it was so pretty that I decided to CASE it for my event. The only thing I changed was the color of the lettering. I used Blackberry Bliss ink, and the one I received was heat-embossed in silver. 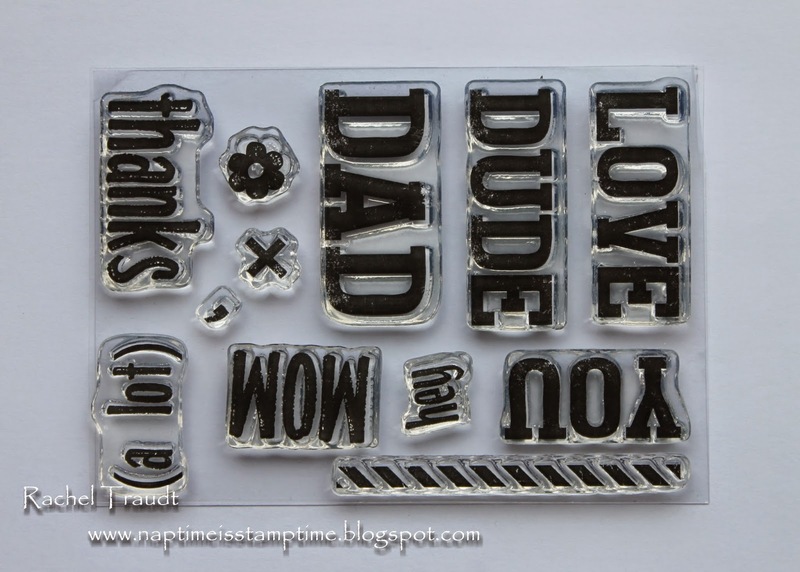 I didn't want to mess with heat-embossing at my Stamp Camp, so I didn't! Isn't it pretty? The greeting comes from a hostess stamp set, so if you want it, you'll have to host in the next month or so. I do Facebook parties as well as home parties, so even if you live at a distance, I can help you! Email me at the address above and we can schedule a party. I'll be back tomorrow with another post in the Stamping 101 series, and I hope to share this month's Paper Pumpkin on Friday. Before you check out this week's deals, make sure you also check out the list of items retiring from this year's Annual Catalog. Stamps will continue to be produced through May 26, but everything else is only while supplies last. There are some great deals! Stampin' Up! has also announced that they will be adding new items to the Clearance Rack tomorrow, April 22. If you place an order with me that totals less than $150 from now until May 1, I would love it if you would use hostess code 9KT2GWJ4. Anyone who orders $150+ or uses the hostess code will receive 3 finished cards from me as a thank you. Plus, if your order is $30+, you will qualify to receive a free copy of the new Annual Catalog from me. The new Annual Catalog will be shipped to you in the mail mid-May, and you can order from it starting in June. Now, here are this week's deals! 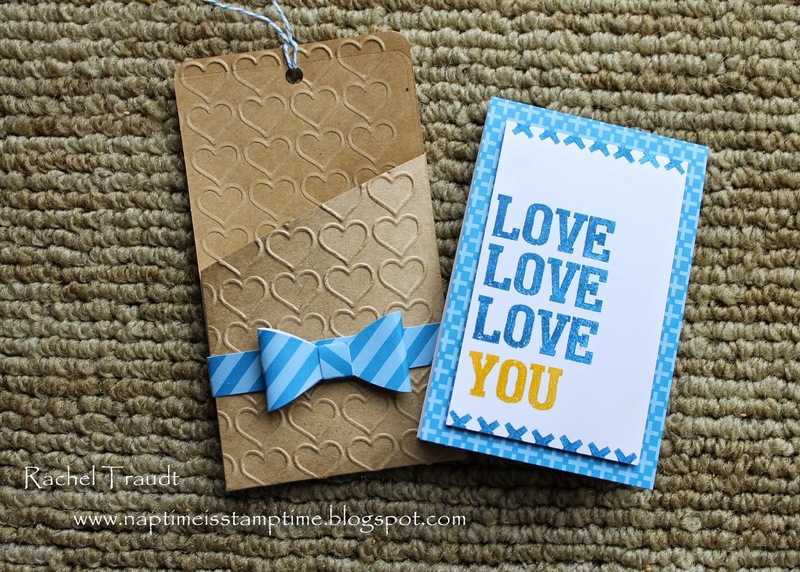 When I was designing cards for my Stamp Camp this past weekend, I went looking for inspiration on Pinterest. I found what I was looking for in this card. 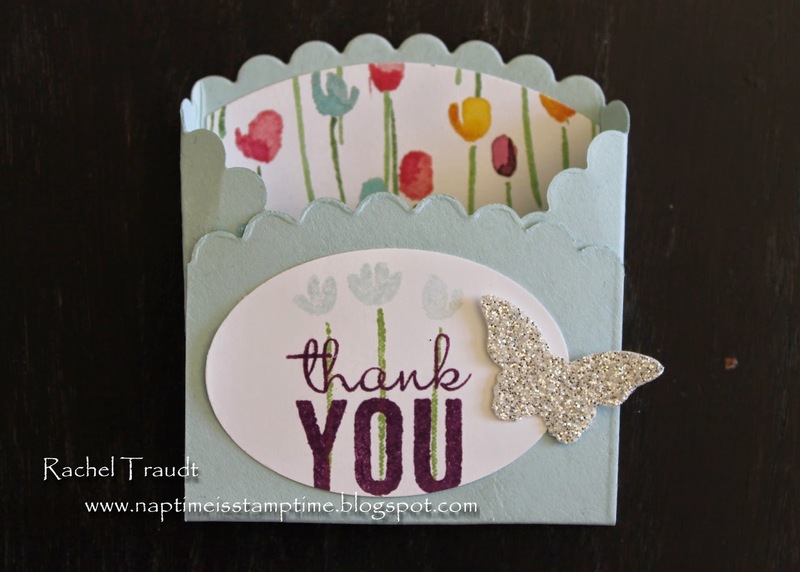 It was the inspiration for my thank you card using the Painted Blooms DSP. 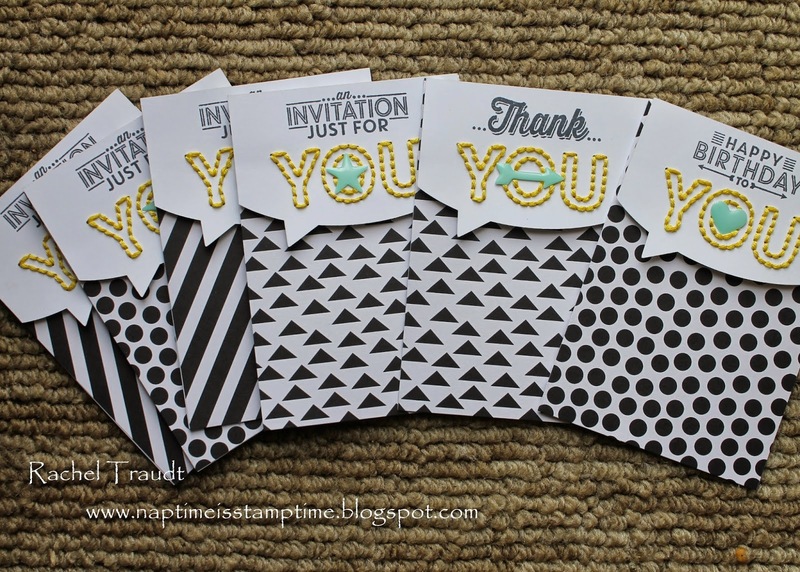 I really love all of Stampin' Up! 's coordinating products. The Painted Blooms Cotton Twine was the perfect touch to finish off this card. And the best part? I whipped up a bunch of these in no time to use for my spring thank yous. One final note: tomorrow is the big day! Stampin' Up! will be releasing the list of items retiring from this year's Annual Catalog. There will most likely be some items on sale, but everything will be only while supplies last. 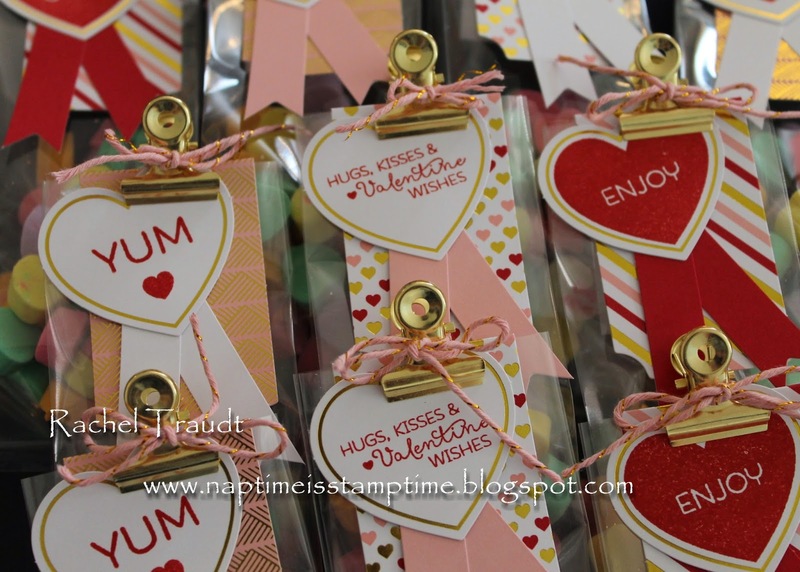 I will try to post early tomorrow, but you are more than welcome to visit www.stampinup.com any time after midnight (Mountain time) to view the list for yourself. One thing that is almost guaranteed to be on the list is any product featuring our 2013-2015 In Colors. These items generally go very fast, so don't wait! 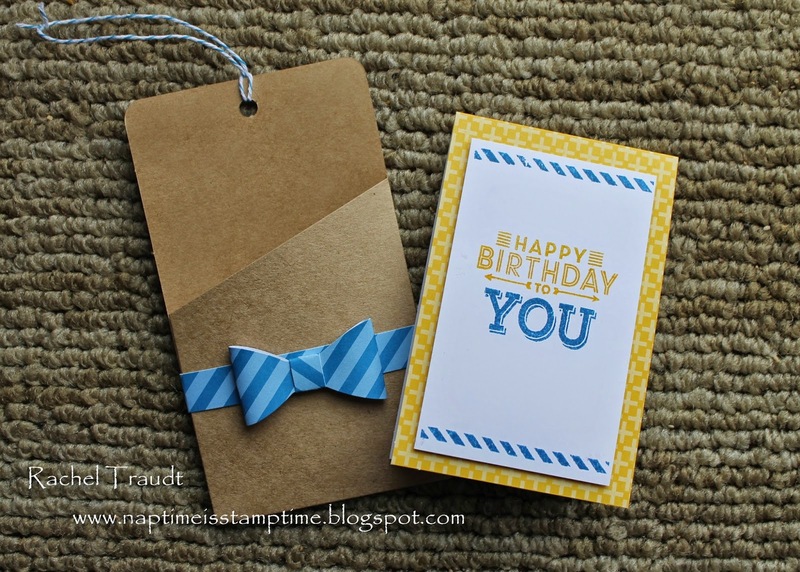 Today I am highlighting another card from this month's Stamp Camp. 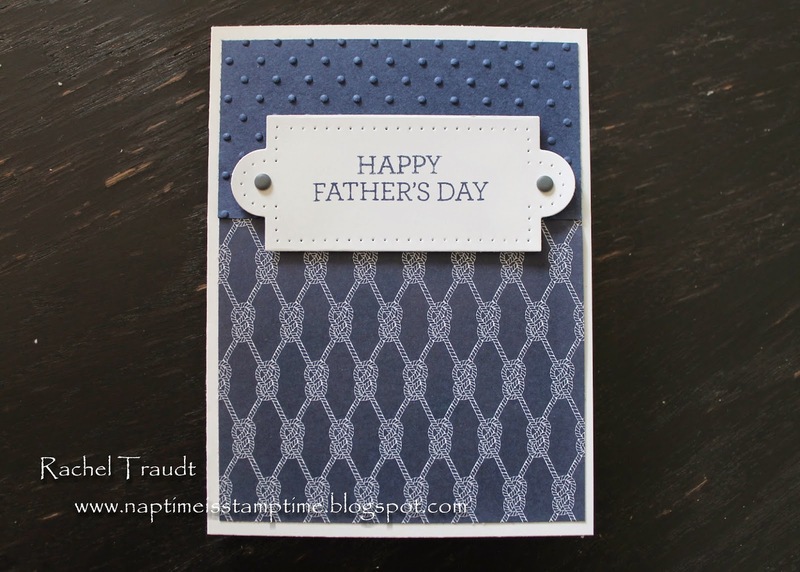 This one also uses the Crazy About You stamp set, and is perfect for Father's Day (or a masculine birthday card if you change up the greeting). I chose to use the Maritime Designer Series Paper for this card, because there are several prints that are perfect for masculine cards. I also did a little paper piercing. Ever since I received the Essentials Paper Piercing Pack as a free gift in my December Paper Pumpkin kit, I've been wanting to try it out! Those little candy dots fit perfectly with this framelit from the Apothecary Accents set. The picture shows Basic Gray candy dots, because that's what I had at the time, but I've ordered some of the Regals Candy Dots for the class, so I can use Night of Navy to match. If you'd like this card, as well as five others, I'm offering my Stamp Camp to Go, but only through tomorrow, Saturday, April 18. See the details here. I have a fun post for you today! It's all about color! 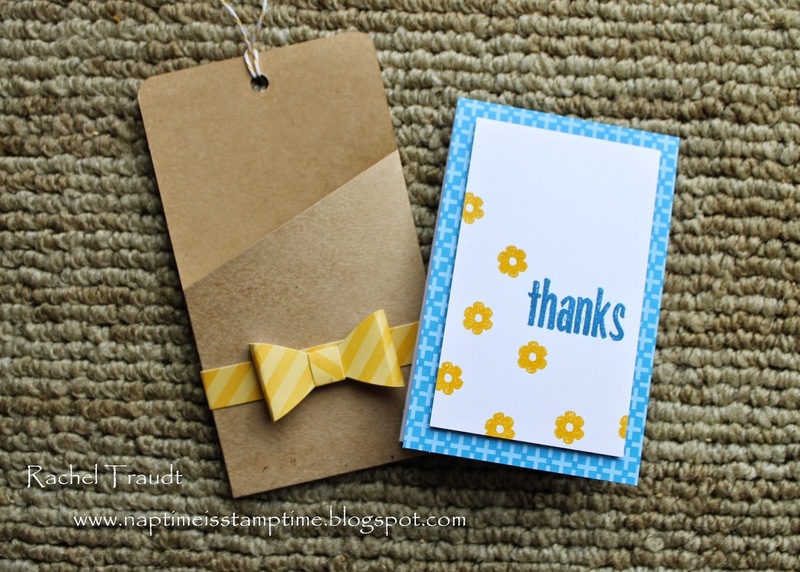 One of my favorite things about Stampin' Up! is that all of the products coordinate, and a big part of that is the colors. Have you ever gone to your local craft store and tried to match paper to ink, or even just patterned paper to a solid color of cardstock? It can be frustrating, because the colors are just a little off. Stampin' Up! has solved that problem by providing inks and papers that match! 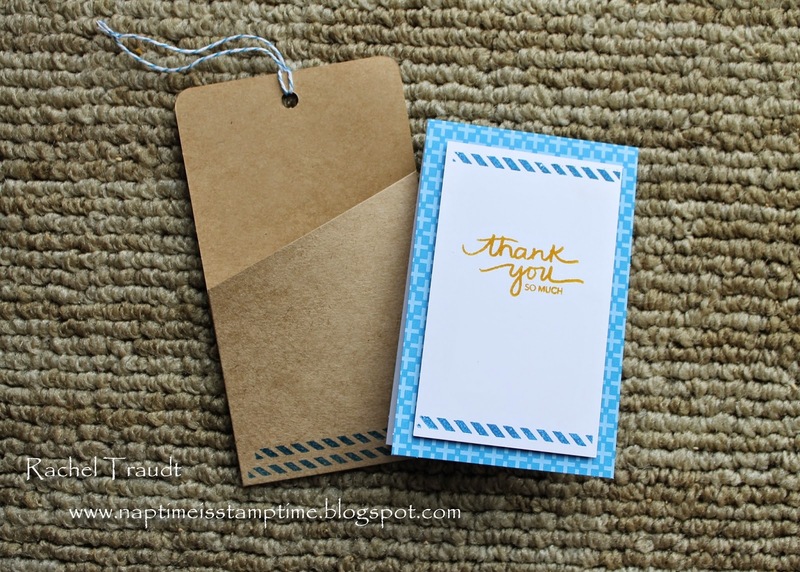 Part one of this lesson: Stampin' Up! 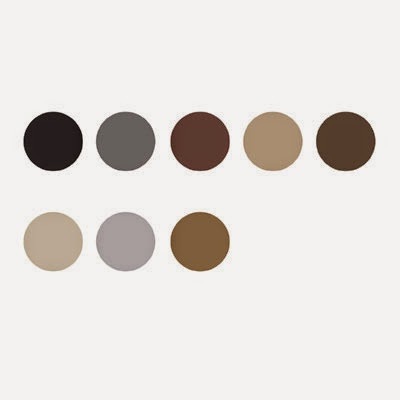 has four color families - Brights, Neutrals, Subtles, and Regals. The colors in these color families pretty much stay the same. 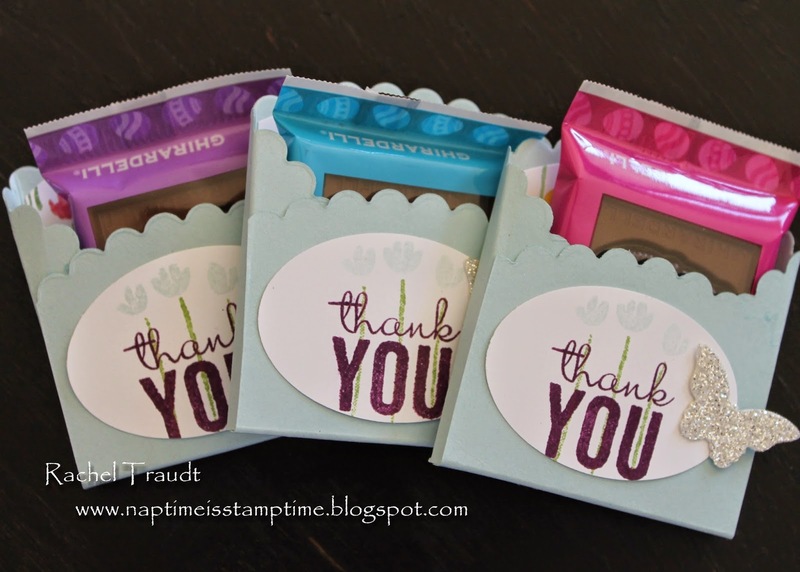 Every once in awhile, Stampin' Up! does a color refresh and switches things up, but they have promised us not to do that more than once every few years. The last color refresh was two years ago, so who knows? Another one may be on its way soon! 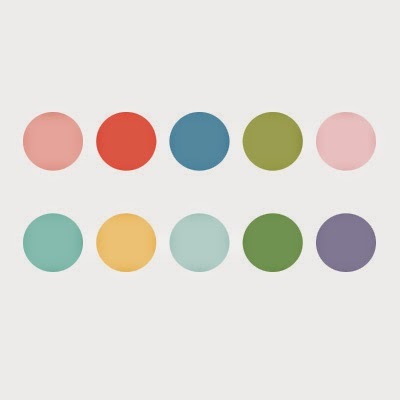 Each color family includes ten colors. The neutrals family also includes Whisper White and Very Vanilla, not pictured here. Now comes part two of the lesson - our In Colors. In Colors come in groups of five colors, and there is a new group of In Colors introduced every year with our new Annual Catalog in June. The In Colors stick around for two years, so there are always two groups of In Colors to choose from. 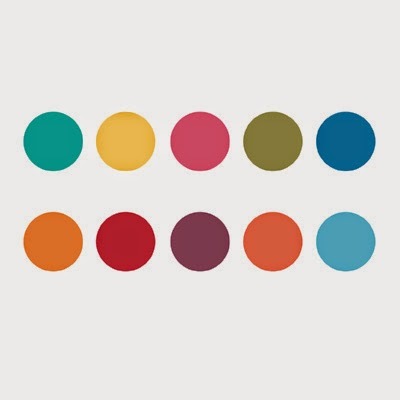 These colors often include current trends. 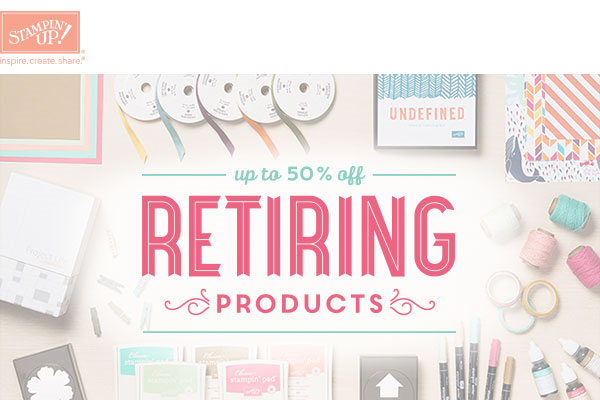 The five colors that will be retiring this year are just beautiful. I will really miss them! These colors will be around for another year, and I really like them too! All of our colors have fun names too, like Blackberry Bliss and Wild Wasabi. Like I said, everything coordinates. 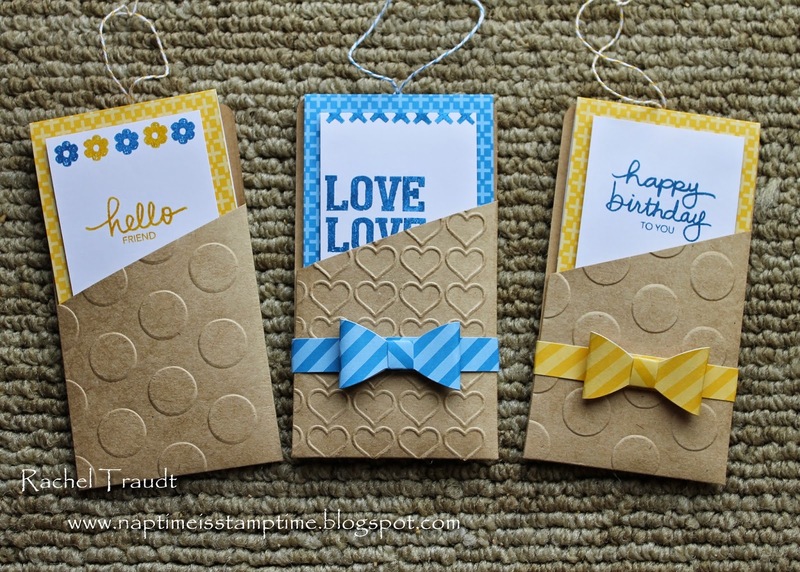 All of the patterned paper (Designer Series Paper) that Stampin' Up! sells includes colors from these color families, and when you look through our catalogs, you'll see a list by each one that tells you which colors coordinate with it. We also have a helpful tool called the Color Coach. 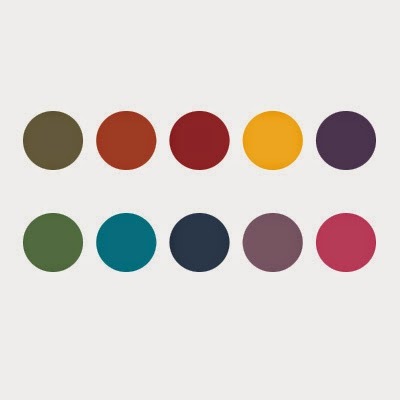 The Color Coach helps you come up with beautiful color combinations for your cards and projects. You can buy the new In Color cards to add to it every year. 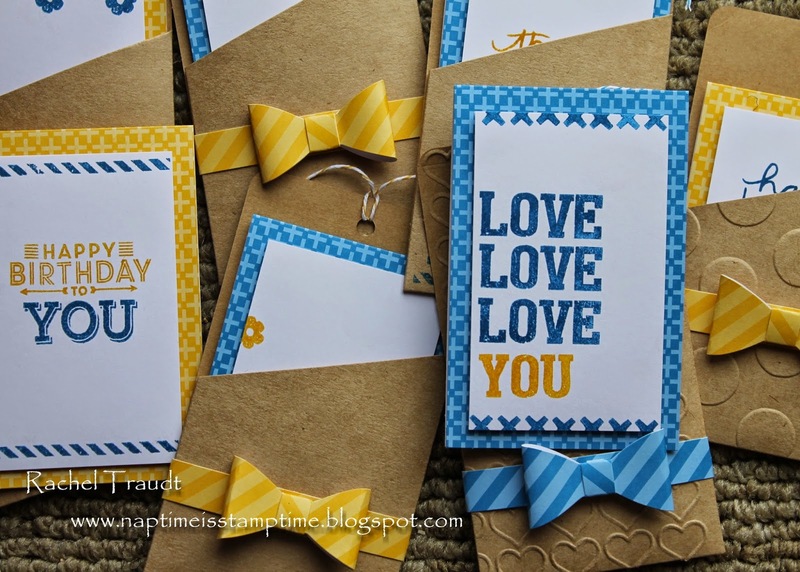 So... which Stampin' Up! colors are your favorites? I love Blackberry Bliss, Bermuda Bay, and Coastal Cabana (and so many more)! 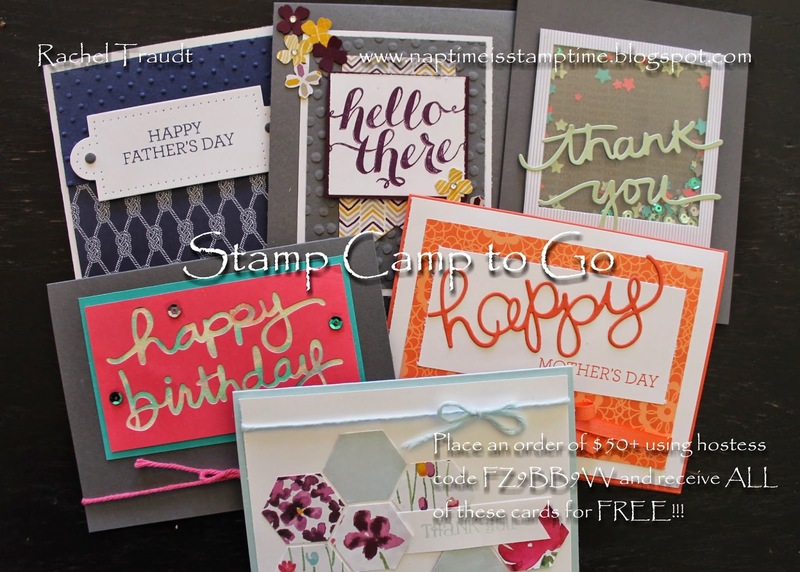 Saturday is the last day to place an order for my Stamp Camp to Go. Don't miss out! Today I am highlighting one of the cards from my Stamp Camp. We all know that Mother's Day is coming up next month, and I always have a hard time coming up with a card that's 'good enough' for my mom. So I challenged myself to do a Mother's Day card for my April event, and get it done early! 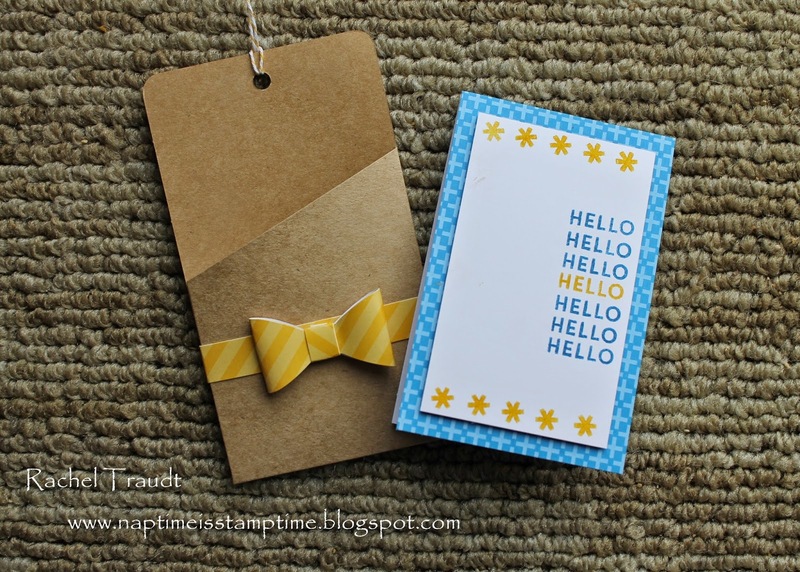 The Crazy About You stamp set is perfect for so many occasions, and paired with the Hello You Thinlits, it was really easy to put this card together. You'll see this stamp set in use again with the Father's Day card I created for the same event. As you can see from the picture above, it has a greeting for just about every occasion. It's a great stamp set to add to your collection! Just a reminder that my Stamp Camp to Go class is available through this Saturday, April 18. Place your order today, and receive this Mother's Day card, as well as 5 others! Gentle Peace & FREE Shipping!! !